Quote for the week: "Some people ask why people would go into a dark room to be scared. I say they are already scared, and they need to have that fear manipulated and massaged. I think of horror movies as the disturbed dreams of a society." Horror stories are, by nature, disturbing, and horror fans love to be scared. Some writers try to induce fear in their readers by making their stories as bloody and gross as possible. That may work for some readers, but for others, excessive blood and gore actually make the story less scary. When I read a horror story or watch a scary movie, I want to shiver with fright, not revulsion or disgust. You might think that filling every page of a story with blood and violence is the best way to scare a reader, but the opposite is often true. When readers are hit over the head with graphic details, they can become used to it, and it loses its effect. A good horror story will keep the reader off balance. Even though they know something scary is likely to happen, they don't know where it might come from or when it will happen. If your story does need to have a really gross scene, don't tip your hand to the readers right away. Lead up to it. Instead of having the readers walk right in to a charnel house or room splattered with blood, show them a single tiny drop of blood or a necklace made of finger bones. In some stories, those small details might be all that is necessary. Remember that items with GC (graphic content) or XGC (Extreme Graphic content) ratings will not be seen by any members who have chosen not to view items with those ratings. If you want your item to be seen by more readers, it might be best to keep it at 18+ or below if possible. Even if your story isn't going to be published on Writing.com, other sites and publishers have content rating systems and limits they must adhere to as well. Check the requirements for any contest or other site where you want to submit your work to be sure. Something to try: Take a story that is currently written at a GC or XGC level and rewrite it to 13+. Weekly winner of the SCREAMS! Contest. A bedridden patient receives a terrifying guest. 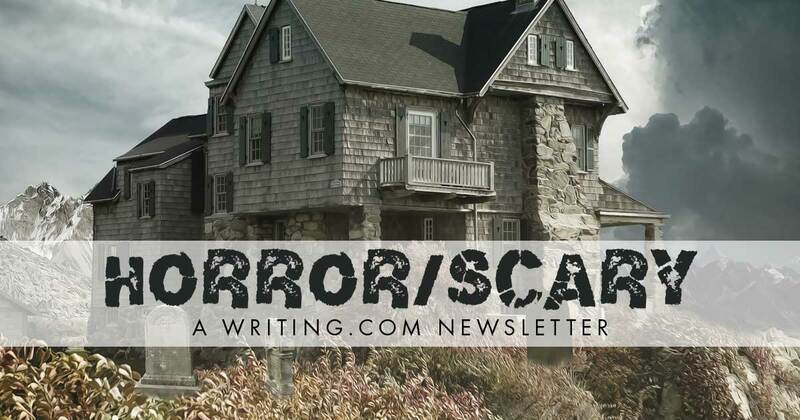 Question for next time: What subjects would you like to see in future horror newsletters? Generated in 0.47 seconds at 6:31am on Apr 25, 2019 via server WWW1.